But when Logan is stuck writing about an obscure folk singer Sean Baylor, whose spirit is rumored to be haunting the quaint seaside town, she is not sure that she will be able to complete her assignment. 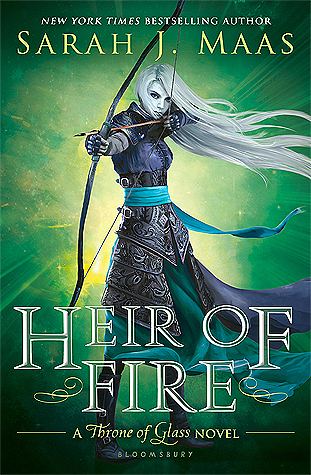 This is the second book in the Star Crossed series, and I have to say that I enjoyed this one more than the prequel. That's partially because of Logan's new love interest, Jeremy, and partially because of the intriguing mystery. This time, Logan sets out to discover the truth about something much more important than a few rebellious teenagers. Logan is a strong, determined protagonist. I admired her for her witty comebacks and daring personality. Many new characters were introduced to the series while Logan is at the writing camp. I enjoyed meeting the new people, but I also missed Chili and Paige. Their unbreakable friendship was my favorite part of the first book. While the astrological aspect of the novel is fascinating, at times I wish Logan would give it a rest. Not everything can be explained or figured out based on the position of the moon or sun. At least, that's my opinion. I kind of wish she would have let her strength and strong personality help her solve problems instead of her knowledge about astrology. I was actually surprised at the turn of events near the story's end, and now I'm ready to jump into the sequel. I'll be posting my review for that sometime soon (hopefully). 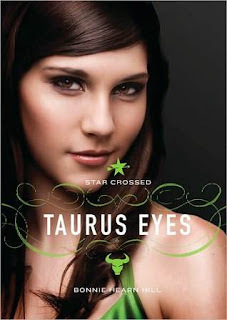 Overall, Taurus Eyes was a fun read about a spooky ghost mystery and the newfound romance Logan discovers while trying to win the approval of her writing mentor. If you're looking for a light, original read, then you've found your book. *I received this novel free of charge from the publisher in exchange for my honest review. Thank you so much for this fine review. Yeah, congrats on the feature. just came across your blog! it's fabulous! you have some great insight on your posts! what a fabulous post..